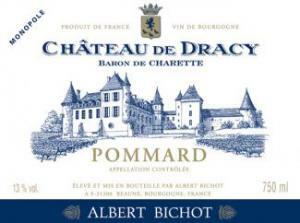 Albert Bichot gives special importance to respect for the terroir. The soil is maintained in a sustainable way through judicious working of the soil which is fertilized with organic matter to bring out the best of the terroir. We also encourage manual labour in the vineyards (thinning of the leaves when necessary, trellising, disbudding) which is particularly helpful in boosting the vines' resistance. Not only does barrel-ageing lend aromas to the wine, but the porosity of the wood lets just the right amount of oxygen in to allow the wine to mature. This wine was oak barrel-aged for over one year in the estate's cellars (30 to 35% new oak).